Thx for the kind remark on F-4B/N Set. The on thing that seems to be consistent is change, and with improved 3D printing we can look for better stuff. What many fail to understand is that creating the parts in a computer is also very time consuming, in fact sometimes more so than sitting down at the bench with plastic stock and building the pattern from scratch. A couple of items to mention is that eventually we will see a 1/32 F-4 Series from ZM, but I can tell you that a Brit Phantom is at the end of the list. One thing to be tankful for is that Tamiya did such a great job with their 1/32 jet line, that some 20-30 years after release which we find ourselves at now, these are still first rate kits. It will take a tremendous product to improve that line whether it be F-4, F-14, F-15, F-16 as seen in the latest Mosquito and Corsair kits. We looked at producing a set a few years back and it was economically unfeasible in a format that most modelers could build. Not to mention that decals that do exist outside of Dave Klaus's set. It was just too expensive, like nearing $800 per conversion set. Our Target UK kit was along the lines of the CE set, but with a full cockpit set. The UK birds while similar are really a completely different airframe from the other Phantoms. Making it is not a matter of changing a few parts as we have done for the Tamiya kits with the F-4B/N, F-4S, or F-4G Super sets. Everything about the UK Phantom outside fo the forward crew section is different. to accommodate the Spey engine and to operate on such small carriers. The news for HK is encouraging as we man still see one form them. May use the intakes, Spey's will be new CAD 3D prints, snd the rest all new parts. May print out new intakes too. The intakes on the CE set are far too big. Is this gossip or first hand measuring them? This is a really frustrating topic as just before this 'PHANTOM' Phantom kit was announced by HKM. I was all go to start pattern making on a conversion for the Tamiya kit. I had gathered loads of information and had even gone on a special trip to a museum approx 100 miles from where I live, to take pictures and some measurements of a real Phantom, I even dragged my wife along and promised her a good day out, a picnic and a cup of afternoon tea and cake at a garden centre, well somebody was needed to hold the other side of the tape measure. When this was announced I packed it all up and started waiting for baited breath for the kit to appear, here we are 3 1/2 years later with still just hope and wishes. I do sympathise with HKM a little, that is why I have stopped announcing projects before I have really got things in order for a release, before announcing it to the world, I got caught out many times before. BIG lesson DO not tell everybody what you are doing before you can deliver. Many companies do it and succeed but I recon more announce and fail to deliver, I am talking from cottage industry all the way through to large model companies. I know I could have developed and produced a conversion at a much better price that the CE conversion, even at 'normal' price for that conversion, never mind the silly prices that they reached. Any how I have moved on and like the rest of you live in hope we will see one one day, reasonably accurate and at a 'reasonable' price. Ali, please use your data and expertise to provide a "backdate" set for the 1/48 Revell (ex Hasegawa) FGR.Mk.2/F-4M to turn it into an FG.1/F-4K. Especially the (unextended, double oleo-scissored) NLG. Slotted stab, bridle hooks etc would also be handy. Yes, the "holy grail" is a 1/32 F-4K/M, but I think HK Models have pushed it way back on the stove, away from the heat, and it may go rancid before we get a Neil stir fry. As for the 1/48 Z-M Phantoms, sorry. The rear fuselage error is doable but the straight forward fuselage and canopy plan (instead of the correct elipse shape) is a deal breaker. Too many people have been blowing smoke for them to see this fundamental error so I'm glad they're steering clear of Spey Tooms. I’m thinking a conversion would be pretty expensive, if it were done to the standard that we expect (to the detail level of the Tamiya kit, as a minimum). Given how the Tamiya kit is broken down, you need a new fuselage, new intakes, new lower wing/fuselage bottom, and new upper wings, plus new exhausts. These are some rather large pieces, especially the fuselage. About the only items that can be reused from the Tamiya F-4J kit are the cockpit (still needs a few changes), radome, tail, stabs, pylons, outer wings, and landing gear. Given that some manufacturers are charging $25 just for a set of J79 exhausts alone, how much would a whole conversion cost? After picking up a pair of CE’s F-4B conversions Garys(i think i bought 3)are so far superior to them in every aspect i would buy two or three big UK F-4’s without hesitation. I have his G conversions, Standards..in fact i have heaps of his stuff, all very very good! Rethe F-4H the CE set is quite good prob the best CE conversion released think the cockpit was its onky shortfall. Still have Sageburner plans but some of the prototypes are very cool! I have always wondered what has stopped the model community getting behind a system used in several other hobbies. You sign up put up a credit card number to secure a number of kits you want then when preorder reaches a certain amount developement is confirmed. IE preorder total of say 100 must be reached. A running total is displayed as orders come in when it hits 100 production is guarranteed. Manufacturer is happy as they have 100 locked in buyers minimum whom have given a card number to confirm a purchase..ie your in, locked in and guys are happy as kits will get produced with zero risk if it all falls through. You get charged on shipping. So often you hear of companies hesitant to produce due fear of people not backing up their typing with cash...this does that it gives a producer confidence and buyers stuff that would never see the light of day. Hi Ali, I was one of those eagerly awaiting your news at the Telford show, alas HLM trumped it and you decided against proceeding. A great shame in my view. Is there any chance that you'll reconsider as to be honest I don't have any faith in HKM delivering on their promise? It's the straight sided canopy plan profile/fwd fuselage that kills Z-M for me. I can't see them correcting that and tooling new canopy parts for the F-4E/EJ etc. (The Hypersonic gear is very good.) 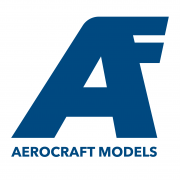 However, paying £70 for a 1/48 F-4 + £20 of correction resin which still doesn't correct the fwd fuselage/canopy is excessive, especially when the 1/32 Tamiya F-4s can be had for the same money. I'm in for a 1/32 F-4K conversion set for the Tamiya J. Even after twenty three years the Tamiya reigns supreme. That is odd, I did not know there was any issues with the SM 48th Phantoms. Everyone seems to talk them up so much I always figured they were right on. Seems odd that they would get something like fuselage or overall airframe shape wrong, with how up on tech and 3D laser scanning/measuring they are. A bit more inconsequential for me personally since I never build in that scale, but this is the first Ive heard of it. I wonder how it got off in those respective areas with how diligent ZM seems to normally be in the accuracy dept? Tim, where did you hear this about a correction for the ZM kit? I’m really curious on that one because I have one in the stash.